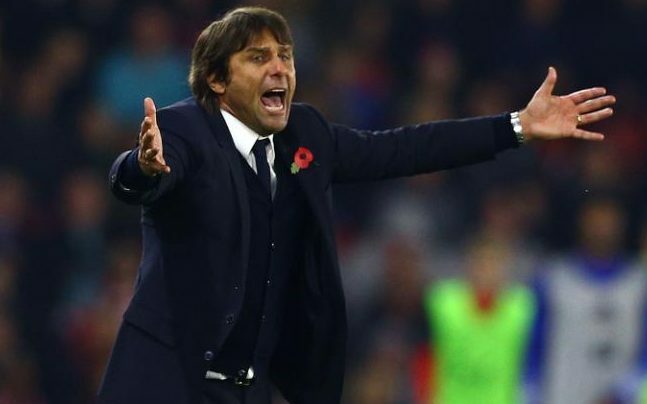 Chelsea boss Antonio Conte has called on his Chelsea players to maintain their momentum after securing their tenth consecutive Premier League win. The Blues guaranteed they‘d be top of the English premier league table at Christmas by defeating David Moyes’ Sunderland 1-0 at the Stadium of Light. The victory continues their amazing turnaround from last season’s disappointing performance. Chelsea finished the 2015/16 campaign in 10th place following a stunning fall from grace. However, they now look on course to reclaim the title, which they last won under Jose Mourinho 18 months ago. Conte is determined to ensure his Stamford Bridge stars do not become complacent though. The Italian cautioned them against complacency, demanding that they continue their current run in a bid to taste success once again. “If I envision this situation at Christmas – I must be sincere – I tell you absolutely no, after those two bad defeats against Liverpool and Arsenal earlier this season. Then we altered it. We found the right answer, a whole new system that works; we are working a lot and very well to ensure nothing is amiss. Chelsea who have been on a ten-match winning run, return to top flight action when they visit London rivals Crystal Palace on Saturday afternoon to continue their title charge. They are six points clear at the top after their rivals dropped points in recent games. It would be a great achievement for Conte if he can snap the Premier League in his debut season.